The growth in Our Colorado is not only staying in the Denver Metro area. Over the past several years Summit County has seen rapid growth in vacation rental homes. Now county leaders want more regulations and new fees on how rental homes operate. SUMMIT COUNTY, Colo. -- The growth in our Colorado is not only staying in the Denver Metro area. Over the past several years, Summit County has seen rapid growth in vacation rental homes. Now county leaders want more regulations and new fees on how rental homes operate. 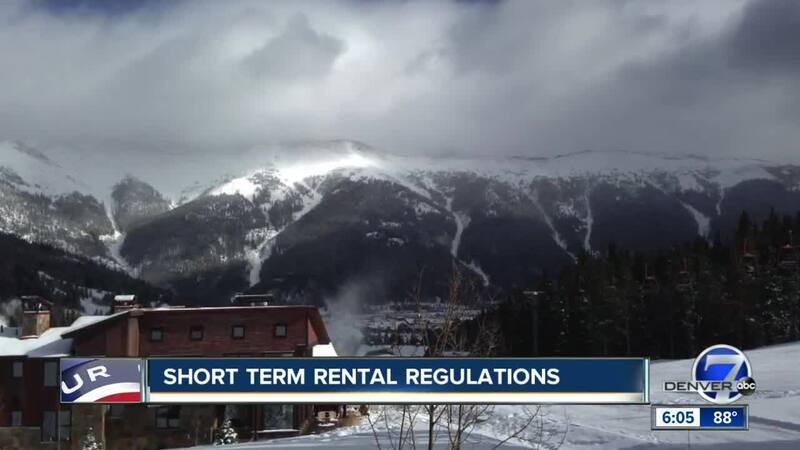 Thousands of short-term rental homes in unincorporated Summit County could face new regulations and hundreds of dollars in rental fees . The new rental fee to home owners would fund a third party organization from out of state to assist with development of short-term rental regulations and an efficient system for permitting, administration, monitoring and enforcement. Property managers such as Adrienne Bulinski said they want more clarity about the proposal, including how much the fee would cost. Reimer said the proposed fee amount is still being discussed, but would be the same for each property. He estimated it around $200. Bulinski started an online petition to hear about the impact to property owners and visitors who rent in the mountains. The restrictions include limiting parking spaces and the number of people who can stay in a short-term rental. Others require property managers to live or have another contact within 30 miles of the homes they manage. There will be a second public hearing on Monday, Sept. 17 to continue the conversation in Summit County.